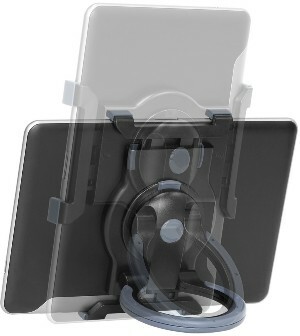 Home » Monitor Mounting Poles & Brackets » Universal Portable Tablet Stand for 7 to 10"
Universal Portable Tablet Stand for 7 to 10"
The Universal Portable Tablet Stand is designed for 7 - 10" tablet computers. 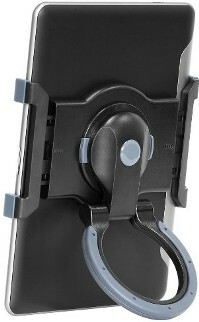 It dramatically enhances usability of the device whilst also providing additional protection from bumps and scratches. 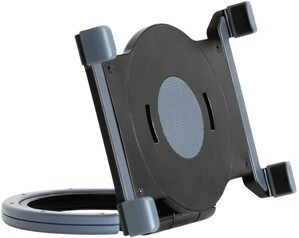 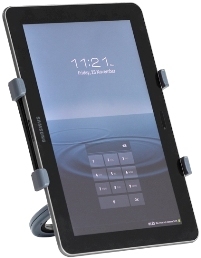 It enables the tablet to be comfortably seated on a desk / POS cash drawer or rested on your lap. 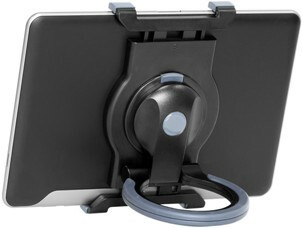 It also provides additional support for tablets when used in a handheld setting. 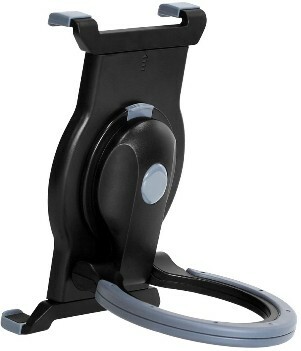 The handle rotates 360° and allows for portrait or landscape tablet orientation and a large variety of viewing angle adjustments. 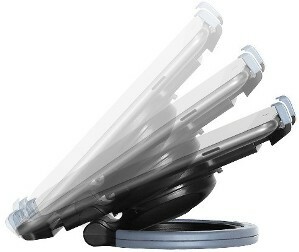 Touch Screen Terminal - 15"